Zhang Yuanyuan, a 28-year-old woman, just put an end to her nine-year long migrant living in Shanghai, where she worked as a shop assistant selling children's clothing. Expecting her second child in a few days, she packed up and headed to her hometown in Zibo, Shandong Province. Unlike her last experience of being forced to leave her daughter behind because she needed to secure her job in Shanghai, this time, she will have plenty of time to spend with her children after she submitted her resignation and returned home to open her own store. Although there are a constellation of local stores that sell children's clothes, Zhang said, she is confident in her experience in Shanghai which enables her to sort out prettier clothes for children at competitive prices. The story of Zhang is no exception. According to a survey conducted recently by China Youth Daily, 52.8 percent of 2,000 respondents noted that there are increasing numbers of young people leaving metropolises to return to their less developed hometowns. The survey also found that about 60.9 percent of respondents who have returned home are expected to start their own businesses, while 52.5 percent are desperate to run their own start-ups. Zhang said, almost all her friends at her age in her hometown have settled down. Some inherit their parents' businesses, while some work for privately-owned enterprises and a few hold jobs as local administrative officials or teachers. 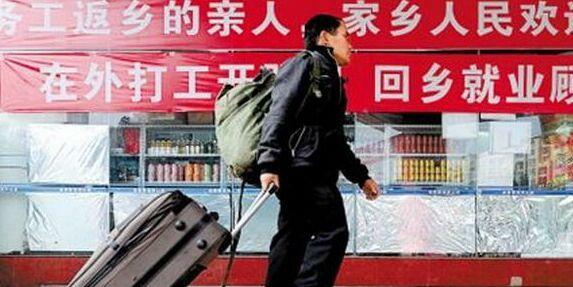 Cai Zhidong (a pseudo name), a local county governmental official from Shanxi Province revealed that young people are reluctant to accept a job as a local official in counties and townships. Most of them have joined in the legion of start-ups and only a few who expect stable jobs work in local governments. However, to flee from the overcrowded cities to idyllic hometowns is not all that satisfactory as the young people who return home soon find that to start a business from scratch is very difficult in the towns and villages where the business opportunities are rare. Lu Jia has tried several start-ups since heading home in Inner Mongolia after spending six years working in Beijing. "I started running online shops, cosmetics agencies and even engaged in vendor selling," Lu recalled. "But I have not found a lucrative business and all my efforts in the last few years were spent in vain." For most returnees, rare business and job opportunities become the major problem hindering the development of their careers in their hometowns. About 54.8 percent of respondents complained about insufficient job opportunities, while 44.4 percent blamed the unfavorable working environment and 27.1 percent reportedly experienced sophisticated interpersonal relationships. Despite these temporary difficulties, Cai believes the working and living environments in the second-and-third-tier cities, towns or villages have been improved greatly since the anti-corruption campaign initiated a few years ago. "The young people will be more likely to enjoy fair opportunities and streamlined administrative procedures when the efforts of the anti-corruption campaign and the relegation of powers are paid off," Cai said. "I believe towns and villages will have a bright future to attract more young people to settle down."